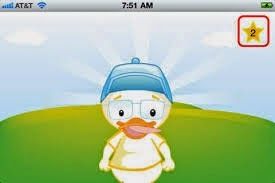 What it is: An app that for pediatric oral motor exercises. Smart Oral Motor is an oral motor app by Smarty Ears. Smart Oral Motor uses the Smarty Ears mascot “Clever” to demonstrate oral motor exercises. There is a list of 12 exercises from which to choose. Clever will then show the child how to complete the exercise. For each time the child completes the exercise, they earn a star. When the child is done, they receive applause for their hard work. I think Clever is adorable, however, there are times that I would love to skip through the intro. I’m not much of an oral motor therapist, but do like the app when I need to do an oral motor exam on a child that just does not want to participate. They love imitating Clever and find the app to be rather engaging. This can actually be a very fun app!